Extracurricular Activities are those that fall outside the realm of the normal curriculum of school performed by students. You get to explore your physical, creative, social, political, and career interests with like-minded people. You’ll find friends: Trying something different may bring you in contact with people you didn’t know who share your interests and curiosity. 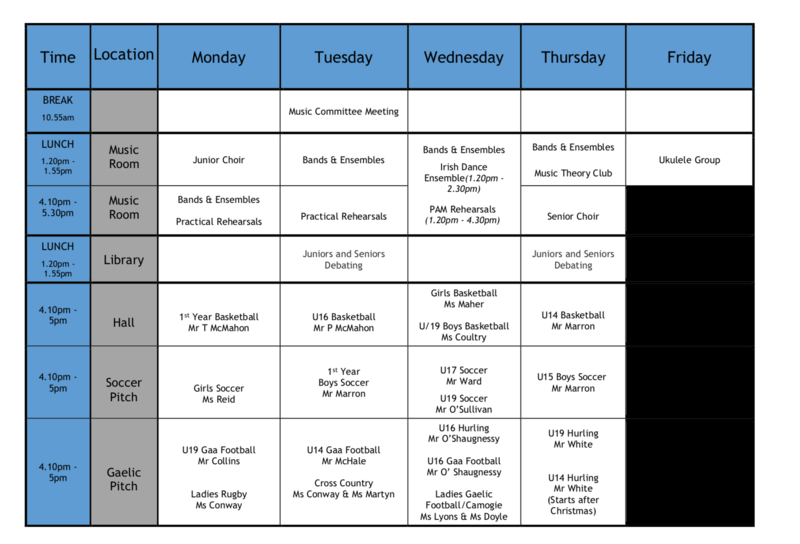 There are a number of extracurricular activities for students to participate in at Firhouse Community College. They include music, sport, debating, gaisce, green schools, drama club to name but a few. 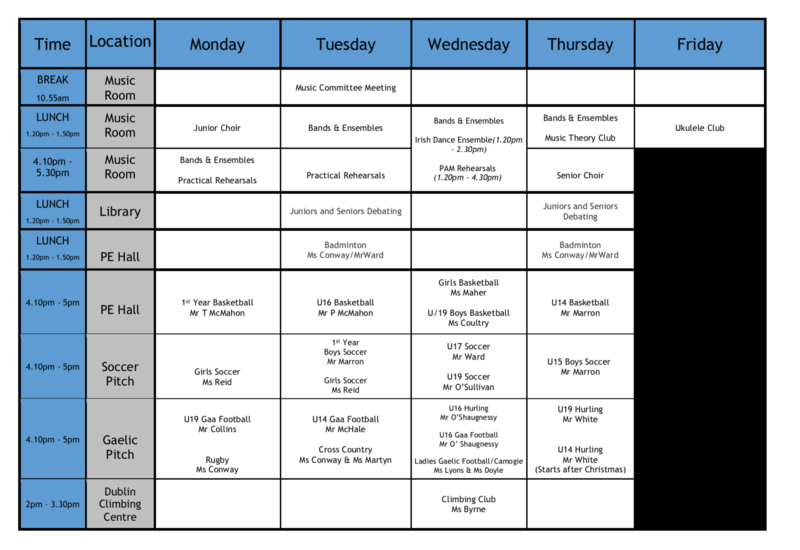 Please note that times for Wednesday training and musical activities are from 1.10pm!